In recent times, drone delivery has become a global phenomenon. However, in countries like Rwanda, these drones not only deliver goods, they save lives. The drones owned by Zipline, serve as a lifeline for Rwandans who require blood in some of the most remote areas of the country; areas where bad roads hamper the on-time delivery of medical products during emergencies. Even though Zipline launched its operations in Rwanda barely two years ago, its drone-delivery has recorded remarkable success and impacted thousands of lives. The drones have completed more than 1,400 deliveries across 12 regional hospitals in the countryside of Rwanda. In addition, the drones have also totted up more than 5,500 units of blood deliveries to patients in dire need of blood transfusion. The California-based startup which was founded by a team of technology enthusiasts (Keenan Wyrobek, Keller Rinaudo, Peter Seid, Phu Nguyen, and William Hetzler) at the Silicon Valley in the US has its base in Muhanga. The town is located around the Southern province of Rwanda, approximately 45 km from Kigali the country’s capital. So far, Zipline’s success since it launched in Kenya could place East Africa at the forefront of an evolution. “Some of the biggest, most powerful technology companies in the world are still trying to figure out how to do this. But East Africa is showing them all the way. “The work in Rwanda has shown the world what’s possible when you make a national commitment to expand healthcare access with drones and help save lives,” Keller Rinaudo, Zipline CEO and Co-founder explained in an interview in January 2018. Zipline drones also offer a new future for young Rwandans who have dreams of becoming engineers by providing them jobs. About 20 of the company’s country staff are Rwandan, and one of them is 27-year-old Abdoul Salam Nizeyimana. Abdoul lost his family (father, mother and two siblings) during the Rwandan civil war. Although Nizeyimana survived, he sustained some injuries on his head and is now dedicated to impacting the lives of other Rwandans. “If I got another chance to live, would I want to use that chance for having a lot of beers, or buying cars? What should I use the second chance for?” he says. “Serving the community and making an impact on other people’s lives is what makes sense for me,” he told Bloomberg. Abdoul Salam Nizeyimana got the job shortly after Zipline began operations in Rwanda in 2016, becoming the first local employee. In an exclusive documentary by Bloomberg, Nizeyimana talked about how it feels to achieve one’s dream despite a devastating journey. Nizeyimana is currently in charge of a group of young people in Rwanda who launch and retrieve the autonomous drones that deliver blood to remote hospitals, an opportunity he relishes since getting another shot at life. Despite the gloomy days he was forced to witness as a child, Nizeyimana now has a job which has helped him to acquire education and also take care of his ageing grandmother. Through this, he has acquired an associate degree in Renewable Energy Engineering and a Bachelor’s Degree in Electrical and Electronics Engineering. 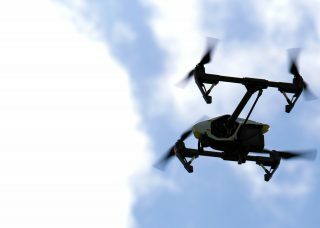 The drones he launches from the base fly to the clinic at up to 60 mph after orders are received from doctors in the regional hospitals; delivering blood, antimalarials, sutures and drugs. Rwanda’s recovery plan is yielding huge benefits for the country’s economy which according to experts is expected to grow by 7.2 per cent in 2018, a sharp contrast from what has been obtainable in previous years. The country which has become a fertile land for investors is currently on the path to unprecedented growth, and Nizeyimana believes he and other youth can further change Rwanda’s fortune. His team has completed more than 8,000 flights carrying about 15,000 units of blood to 21 hospitals in Rwanda’s western region.